The Power of Possible campaign launched in summer 2016 across a multitude of platforms: billboards, digital, print, and broadcast. The campaign reinforces the commitment we have to our patients and the groundbreaking research we do on a daily basis. 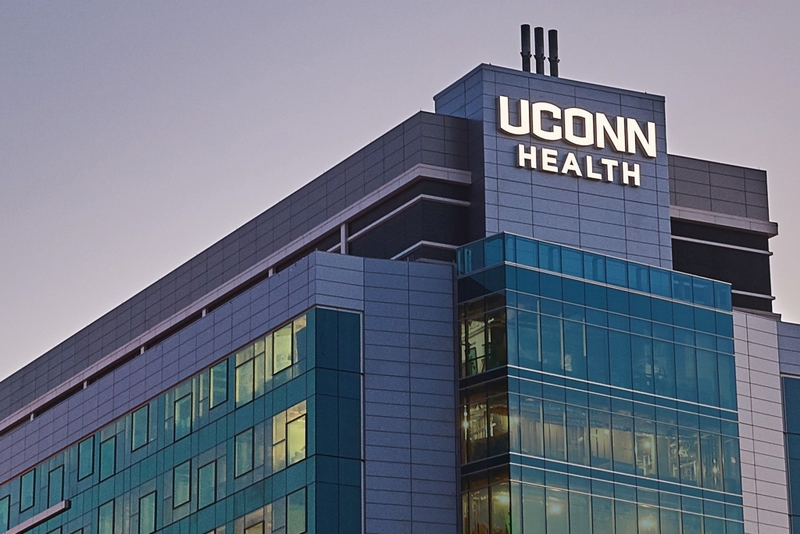 Along with the University, UConn Health has been rebranded in recent years to reflect its rapid expansion and vitality. Ongoing efforts to promote groundbreaking research and quality clinical care are centered in University Communications. 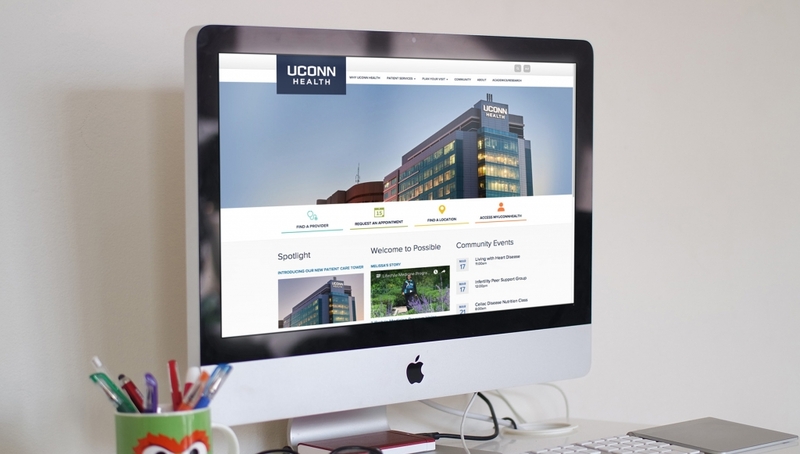 UConn Health’s redesigned website reflects our commitment to patients, making it easier than ever to find providers and locations and make appointments. Started in 2015, UConn Health Journal strives to illuminate UConn Health’s scientific discoveries and demonstrate how they translate to value for health professionals and patients. We inform our target market about new doctors, available service lines, convenient satellite offices, and award-winning care through direct mailings and strategically placed ads. University Communications supports the goals of UConn Health through a multitude of channels. We work to champion the institutional brand and reputation, keeping people informed as UConn Health innovates clinical care and blazes the trail in research areas such as personalized medicine. Since UConn Health's inception, our faculty have been committed to high-quality research programs as part of the institution's fabric. The future of medicine starts here. University Communications disseminates research breakthroughs through UConn Today stories and press releases, pitches to news outlets, the UConn Health website, and publications including UConn Health Journal. We produce stories, websites, photography, and videos to publicize the discoveries that translate to real-world diagnostics, treatments, and preventions that help millions of people. UConn Health doctors appear on local and national broadcasts and in print to share their expertise. We work to publicize initiatives such as Bioscience Connecticut, a state-funded plan to improve the state economy that includes renovation of the original research building on the UConn Health campus to include space for start-up bioscience businesses and collaborations between the state, UConn, UConn Health, Yale University, and the prestigious Jackson Laboratory for Genomic Medicine. With hundreds of primary care physicians, dentists, and specialists practicing at our main campus in Farmington and at satellite offices throughout the state, UConn Health has the right physician for residents across Connecticut. Using outdoor, print, digital, and broadcast advertising, our team promotes new doctors, a range of clinical services, UConn Health’s awards and recognition, and pioneering clinical innovations. We oversee the UConn Health websites, ensuring important information is easily accessible to our patients. Because UConn Health is home to the UConn School of Medicine and UConn School of Dental Medicine, patients receive the advantages of the latest innovations and research in health care. University Communications publicizes UConn Health’s achievements in training the next generation of providers through stories, photography, and videos, including highlighting a cutting-edge new curriculum and celebrating along with 90 medical students as they discover where they’ll be residents on Match Day each year. Our office redesigned the School of Medicine and School of Dental Medicine websites, ensuring easy access to important information for prospective and current students, residents and fellows, faculty, alumni, and donors.